← You can never have tu, tu much Tula! Cue the Rocky Theme music and the Chariots of Fire soundtrack! I just finished the Claire Murray bunny garden wool needlepoint pillow top! Woohoo! Why is this such a big deal? It took me more than 10 years to finish this! The kit was lost, after several moves, for two or three years, unearthed, dusted off and started when Patrick was just a toddler. 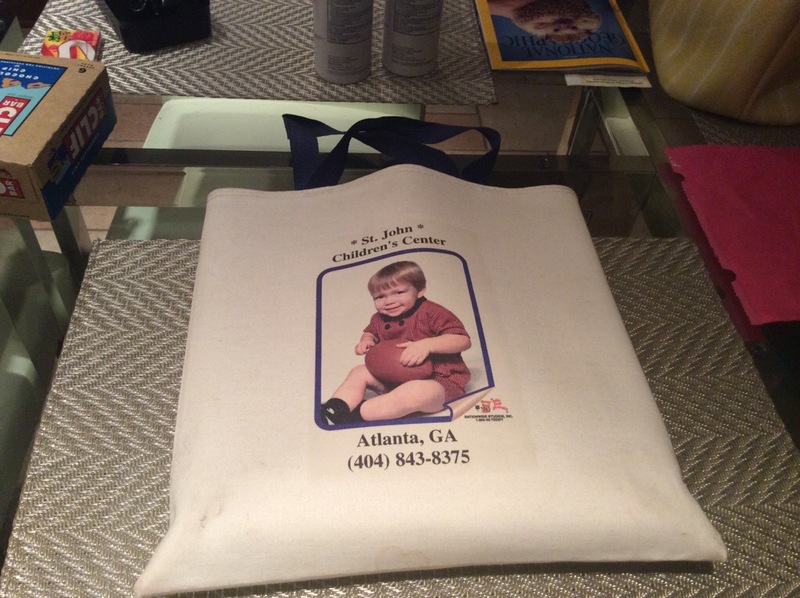 I have always kept it in the daycare tote bag with his adorable Christmas picture printed on it (see photo). This endless project has traveled with me all over the country and beyond, to the mountains of North Georgia, Boston, Los Angeles, Hawaii, Nuevo Vallarta, Carmen del Playa, Biloxi, New Orleans. Mom bought me the kit back in Nantucket when Patrick was just a baby. Back then, I could never have imagined completing it. There just wasn’t time with a newborn, a husband, a home, a full time job and full time school. Patrick is almost 17 now, so I finally found the time. Break out the bubbly for the bunnies! 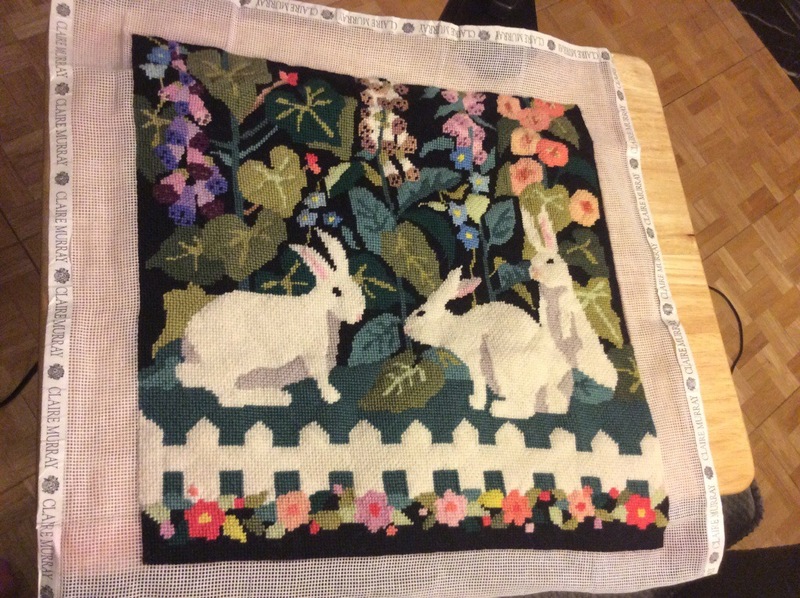 This entry was posted in art, Embroidery, Family, Gift ideas, sewing and tagged art, Bunnies, Claire Murray, embroidery, garden, needlepoint, rabbits, sewing, wool. Bookmark the permalink.